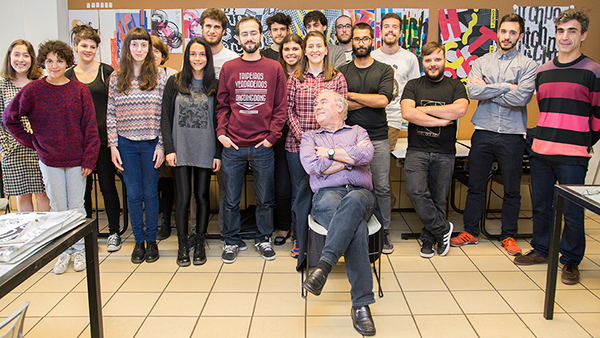 "Em Busca Do Acorde Perdido" / "Looking For The Lost Chord"
The main goal of this workshop was to create a poster for a jazz/experimental rock trio called Hitchpop. They have no graphics related with their music. So, we started from the zero. After having attended a private rehearsal, I noticed that their music has a lot of dynamics, shapes and textures that can pass from a dark and depressive ambient to a more joyful and bright ambient. I thought it could be nice to represent graphically using textures, composition and colors. Since they are a trio, I picked up three different textures and like they told us they work based on improvisations, I started to improvise, cutting some shapes and creating compositions on the scanner. The typography was handmade from papercuts and I developed them using two different styles: one more curvy and smooth and other more geometric to represent the different dynamics. To contrast with the dark background and to represent the "rock" feeling, I gave this letters some bright and electric colors. 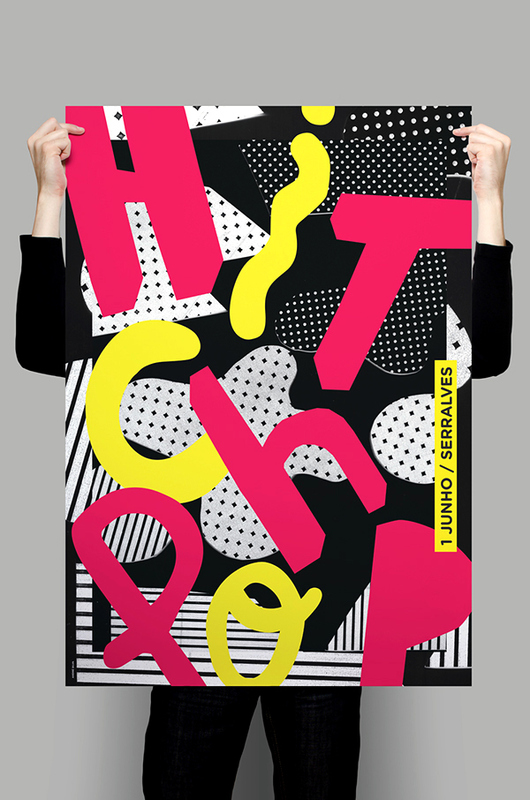 The main goal of this workshop was to create a poster for a jazz / experimental rock trio called Hitchpop. They have no graphics related with their music. So, we started from the zero. After having attended a private rehearsal, I noticed that their music has a lot of dynamics, shapes and textures that can pass from a dark and depressive ambient to a more joyful and bright ambient. I thought it could be nice to represent graphically using textures, composition and colors. Since they are a trio, I picked up three different textures and like they told us they work based on improvisations, I started to improvise, cutting some shapes and creating compositions on the scanner. The typography was handmade from papercuts and I developed them using two different styles: one more curvy and smooth and other more geometric to represent the different dynamics. To contrast with the dark background and to represent the "rock" feeling, I gave this letters some bright and electric colors.